Get your hands on this amazing savings from Flitz! 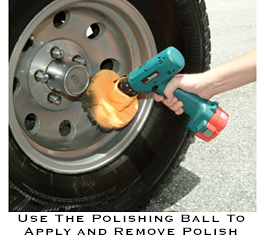 Flitz Metal Polish, Fiberglass & Paint Restorer is now available in a money-saving gallon size. You win when you buy in bulk! The Flitz Gallon is priced at a 79% savings off the regular price of 72 tubes of Flitz Metal Polish, Fiberglass & Paint Restorer. That’s how many tubes are in one gallon of Flitz. What an incredible value!